The success of your commercial enterprise depends on the reliability of your electrical equipment. Basic troubleshooting techniques can save your industrial business time and money while improving client satisfaction. But what is electrical troubleshooting? Why is it important for industrial businesses? And how can having trained troubleshooters on-staff make businesses more efficient and profitable? When the tools and equipment on your production lines go down, getting them back in operational order should be your first priority. 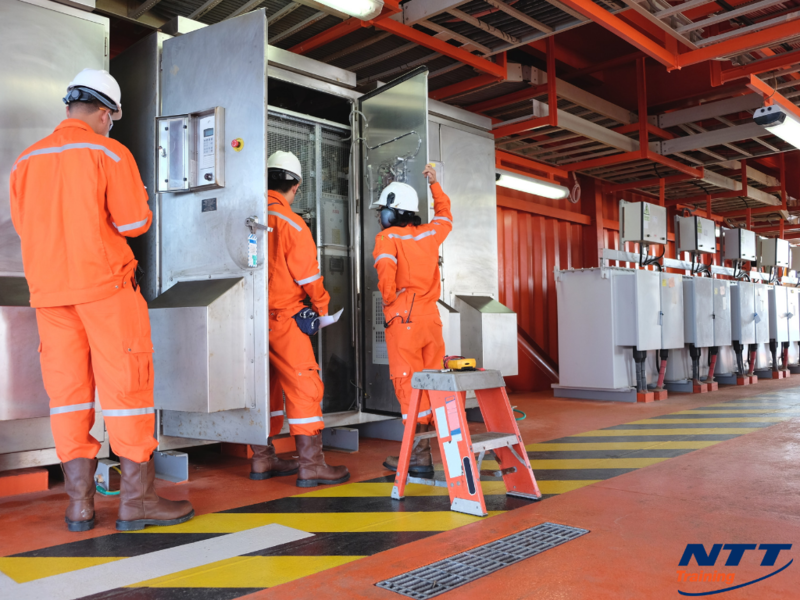 Electrical troubleshooting is a process that seeks to find the source of and quickest remedy for malfunctions in powered equipment. There are three basic steps to troubleshooting electrical equipment. Identify the problem. Technicians go through a checklist of possible problems, methodically reducing the list to the most likely source. This step could include investigating the building’s wiring systems and breakers for widespread outages. Formulate a plan. Repairing electrical machinery can be a complex process. If the source of the malfunction is buried under layers of mechanical components, it could take a large amount of time and expertise to correct. In this step, technicians may use blueprints or schematics to better visual potential approaches. Complete the repairs. In this step, technicians carry out their repair plans. This could mean having on-staff maintenance workers complete repairs or calling in an outside expert. Their available tools and knowledge limit the types of repairs your maintenance people can complete. While electrical troubleshooting is a logical process, it is not necessarily a linear one. Technicians may need to revisit previous steps if their initial efforts don’t produce the desired results. However, the electrical troubleshooting framework provides the surest route to correcting electrical issues in industrial machinery. Electrical troubleshooting saves businesses time, money, and profit potential. Having staff that is trained in electrical troubleshooting techniques is even more beneficial to production-based businesses. When a piece of equipment goes down, you might think the best route is to completely replace the unit. However, proper electrical troubleshooting procedures could repair the equipment, saving your precious cash flow. With trained troubleshooters on staff, you could extend the life of your existing equipment indefinitely. Every minute your production equipment is down means missed deadlines. With extended or repeat delays, you risk angering customers and possibly driving them to your competitors. Electrical troubleshooting offers the quickest way to restore function and get your lines going again. Having an on-staff troubleshooter reduces your downtime even further. Instead of waiting for local professionals to be available, you can simply put your maintenance worker on the task. Outside industrial repair contractors are usually in high demand. This allows them to command equally high compensation from their clients. The cost of troubleshooting and repairing your electrical equipment can quickly balloon with labor costs and overtime for priority jobs. Training your existing maintenance staff gives you all the benefits of electrical troubleshooting without drastically increasing your overhead. Having staff members trained in the basics of electrical troubleshooting increases efficiency and reduces profit-consuming downtime. It also lowers the amount of cash you need to commit to new equipment and outside help. If your business relies on electric-powered equipment to deliver goods and services to your clients, you need a qualified electrical troubleshooter on-staff. Does your Staff Need Further Training? The Electrical Troubleshooting course from NTT Training is the fastest and most convenient way to get your staff members trained on troubleshooting basics. Our instructors come to your facilities and teach staff members how to assess and correct many common electrical problems. In 2 or 3 days, your maintenance workers will be able to understand basic electrical concepts, how to apply that knowledge to electrical devices, and how to safely perform troubleshooting procedures. Contact our representatives today to learn more about this specialized training program.